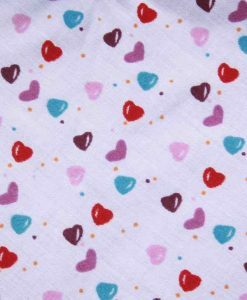 SECONDS – SLIGHT CREASE IN MICROFLEECE (NOT VISIBLE WHEN BEING WORN). 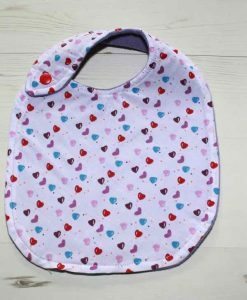 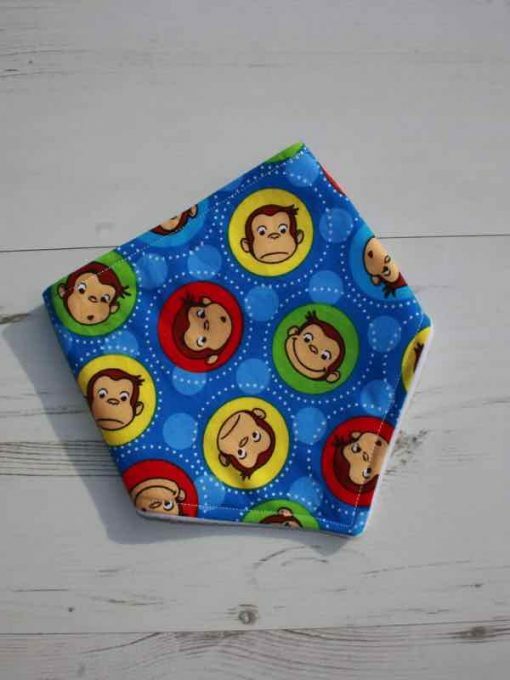 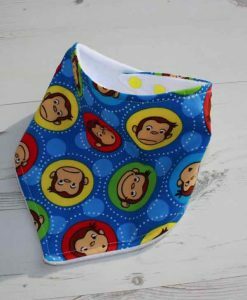 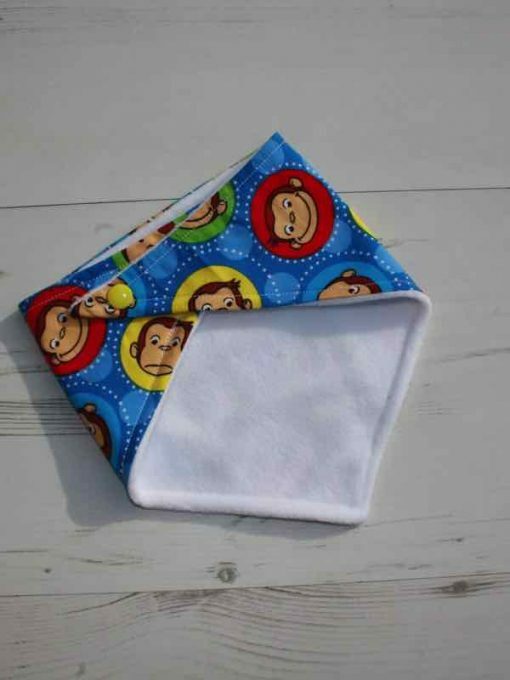 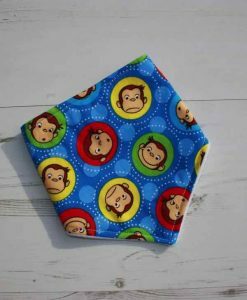 Handmade dribble baby bib in Curious George design cotton fabric. The white microfleece is soft and absorbent.